Kaziranga National Park (Assamese: কাজিৰঙা ৰাষ্ট্ৰীয় উদ্যান, Kazirônga Rastriyô Uddan, ) is a national park in the Golaghat and Nagaon districts of the state of Assam, India. A World Heritage Site, the park hosts two-thirds of the world’s Great One-horned Rhinoceroses. Kaziranga boasts the highest density of tigers among protected areas in the world and was declared a Tiger Reserve in 2006. 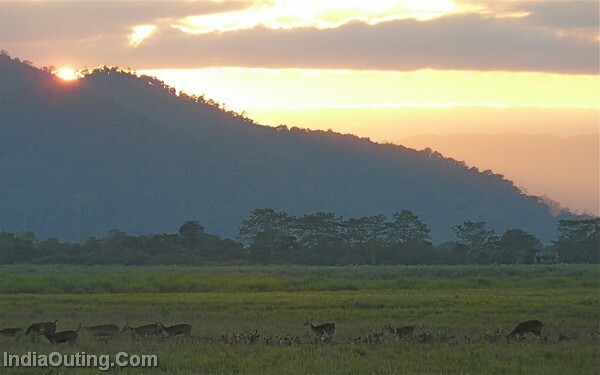 The park is home to large breeding populations of elephants, wild water buffalo, and swamp deer. Kaziranga is recognised as an Important Bird Area by Birdlife International for conservation of avifaunal species. 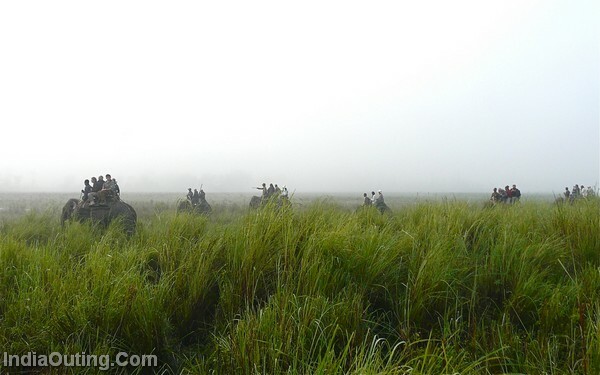 Compared to other protected areas in India, Kaziranga has achieved notable success in wildlife conservation. 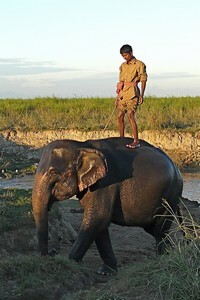 Located on the edge of the Eastern Himalaya biodiversity hotspot, the park combines high species diversity and visibility.Kaziranga is a vast expanse of tall elephant grass, marshland, and dense tropical moist broadleaf forests, crisscrossed by four major rivers, including the Brahmaputra, and the park includes numerous small bodies of water. 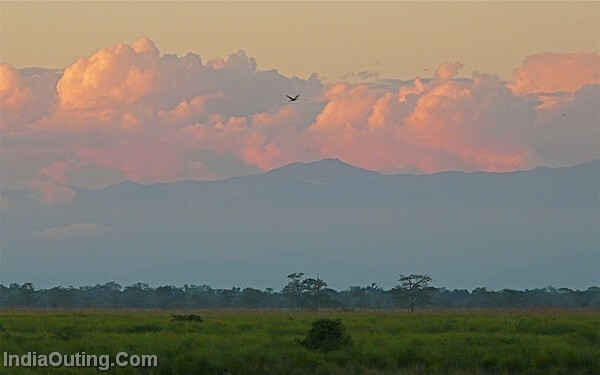 Kaziranga has been the theme of several books, songs, and documentaries. The park celebrated its centennial in 2005 after its establishment in 1905 as a reserve forest. The history of Kaziranga as a protected area can be traced back to 1904, when Mary Victoria Leiter Curzon, the wife of the Viceroy of India, Lord Curzon, visited the area. After failing to see a single rhinoceros, for which the area was renowned, she persuaded her husband to take urgent measures to protect the dwindling species which he did by initiating planning for a their protection. On 1 June 1905, the Kaziranga Proposed Reserve Forest was created with an area of 232 km2 (90 sq mi). Over the next three years, the park area was extended by 152 km2 (59 sq mi), to the banks of the Brahmaputra River. 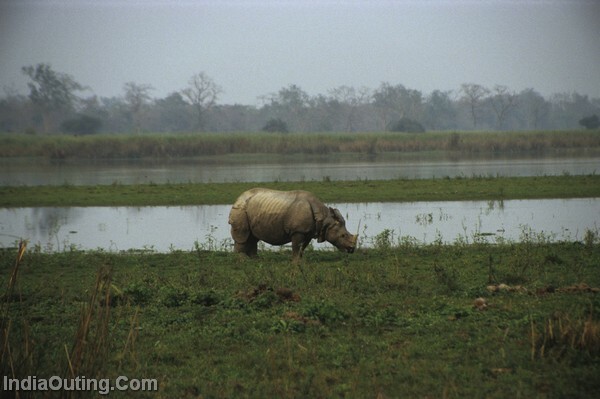 In 1908, Kaziranga was designated a Reserve Forest. In 1916, it was converted to a game sanctuary—The Kaziranga Game Sanctuary—and remained so till 1938, when hunting was prohibited and visitors were permitted to enter the park. The Kaziranga Game Sanctuary was renamed the Kaziranga Wildlife Sanctuary in 1950 by P. D. Stracey, the forest conservationist, in order to rid the name of hunting connotations. In 1954, the government of Assam passed the Assam (Rhinoceros) Bill, which imposed heavy penalties for rhinoceros poaching. Fourteen years later, in 1968, the state government passed ‘The Assam National Park Act of 1968’, declaring Kaziranga a designated national park. The 430 km2 (166 sq mi) park was given official status by the central government on 11 February 1974. 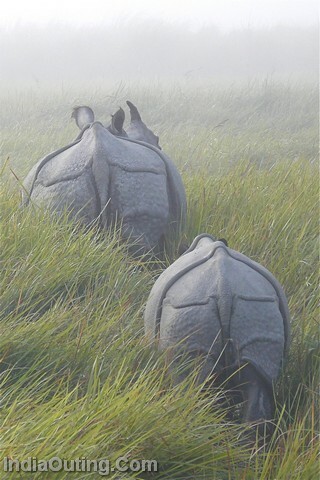 In 1985, Kaziranga was declared a World Heritage Site by UNESCO for its unique natural environment. The park experiences three seasons: summer, monsoon, and winter. The winter season, between November and February, is mild and dry, with a mean high of 25 °C (77 °F) and low of 5 °C (41 °F). During this season, beels and nallahs (water channels) dry up. The summer season between March and May is hot, with temperatures reaching a high of 37 °C (99 °F). During this season, animals usually are found near water bodies. The rainy monsoon season lasts from June to September, and is responsible for most of Kaziranga’s annual rainfall of 2,220 mm (87 in). During the peak months of July and August, three-fourths of the western region of the park is submerged, due to the rising water level of the Brahmaputra. The flooding causes most animals to migrate to elevated and forested regions outside the southern border of the park, such as the Mikir hills. However, occasional dry spells create problems as well, such as food shortages for the wildlife in the park. Authorised guides of the forest department accompany all travellers inside the park. 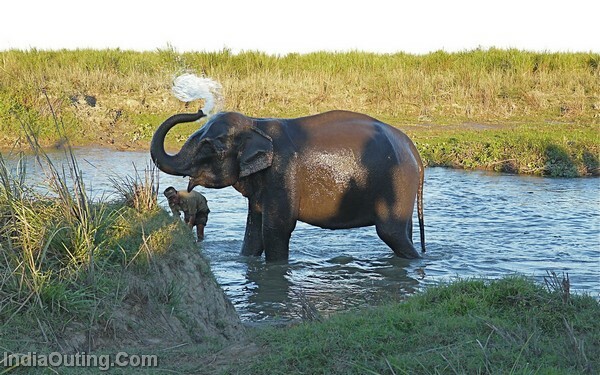 Mahout-guided elephant rides and Jeep or other 4WD vehicles rides are booked in advance. Starting from the Park Administrative Centre at Kohora, these rides can follow the three motorable trails under the jurisdiction of three ranges—Kohora, Bagori, and Agaratoli. These trails are open for light vehicles from November to mid-May. Visitors are allowed to take their own vehicles when accompanied by guides. Buses owned by Assam State Transport Corporation and private agencies between Guwahati, Tezpur, and Upper Assam stop at the main gate of Kaziranga on NH-37 at Kohora. The nearest town is Bokakhat 23 kilometres (14 mi) away. Major cities near the park are Guwahati (217 kilometres (135 mi)) and Jorhat (97 kilometres (60 mi)). Furkating 75 kilometres (47 mi), which is under the supervision of Northeast Frontier Railway, is the nearest railway station. Jorhat Airport at Rowriah (97 kilometres (60 mi) away), Tezpur Airport at Salonibari (approx 100 kilometres (62 mi) away), and Lokpriya Gopinath Bordoloi International Airport in Guwahati (approximately 217 kilometres (135 mi) away) are the nearby airports. Kaziranga contains significant breeding populations of 35 mammalian species, of which 15 are threatened as per the IUCN Red List.The park has the distinction of being home to the world’s largest population of the Great Indian One-Horned Rhinoceros (1,855), Wild Asiatic Water Buffalo (1,666) and Eastern Swamp Deer (468). Significant populations of large herbivores include elephants (1,940), gaur (30) and sambar (58). 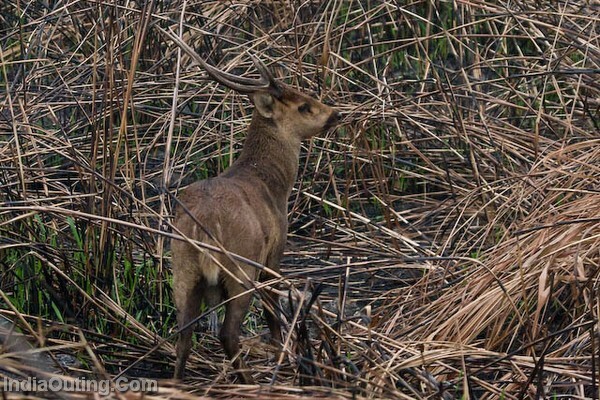 Small herbivores include the Indian Muntjac, wild boar, and hog deer.Kaziranga is one of the few wild breeding areas outside Africa for multiple species of large cats, such as Indian Tigers and Leopards. Kaziranga was declared a Tiger Reserve in 2006 and has the highest density of tigers in the world (one per five km²), with a population of 86, as per the 2000 census.Other felids include the Jungle Cat, Fishing Cat, and Leopard Cats. Small mammals include the rare Hispid Hare, Indian Gray Mongoose, Small Indian Mongooses, Large Indian Civet, Small Indian Civets, Bengal Fox, Golden Jackal, Sloth Bear, Chinese Pangolin, Indian Pangolins, Hog Badger, Chinese Ferret Badgers, and Particolored flying squirrels. Nine of the 14 primate species found in India occur in the park. Prominent among them are the Assamese Macaque, Capped, Golden Langur, as well as the only ape found in India, the Hoolock Gibbon. Kaziranga’s rivers are also home to the endangered Ganges Dolphin. 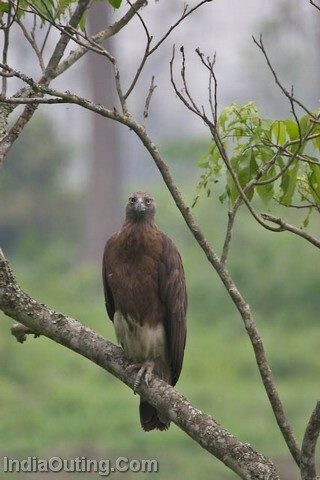 Kaziranga has been identified by Birdlife International as an Important Bird Area. It is home to a variety of migratory birds, water birds, predators, scavengers, and game birds. Birds such as the Lesser White-fronted Goose, Ferruginous Duck, Baer’s Pochard duck and Lesser Adjutant, Greater Adjutant, Black-necked Stork, and Asian Openbill stork migrate from Central Asia to the park during winter. Riverine birds include the Blyth’s Kingfisher, White-bellied Heron, Dalmatian Pelican, Spot-billed Pelican, Spotted Greenshank, and Black-bellied Tern. 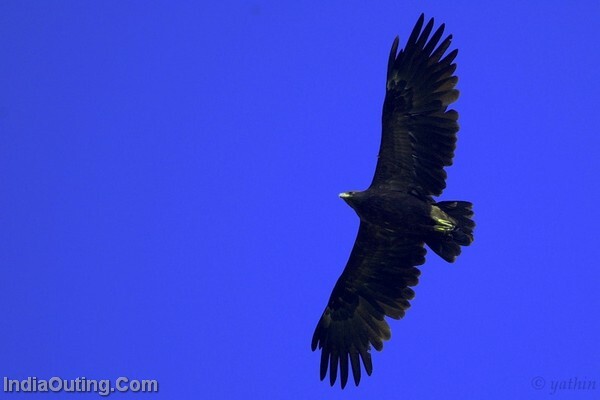 Birds of prey include the rare Eastern Imperial, Greater Spotted, White-tailed, Pallas’s Fish Eagle, Grey-headed Fish Eagle, and the Lesser Kestrel. 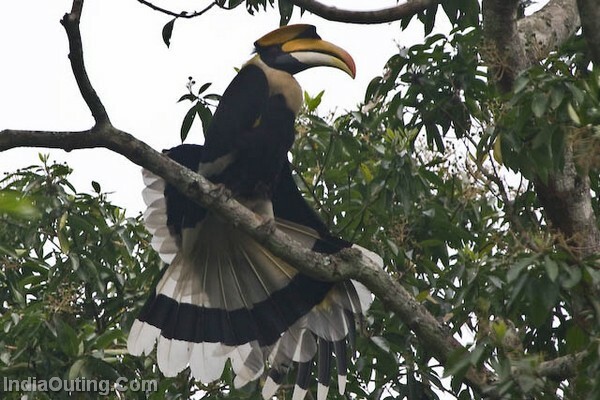 Other families of birds inhabiting Kaziranga include the Great Indian Hornbill and Wreathed Hornbill, Old World babblers such as Jerdon’s and Marsh Babblers, weaver birds such as the common Baya Weaver, threatened Finn’s Weavers, thrushes such as Hodgson’s Bushchat and Old World warblers such as the Bristled Grassbird. Other threatened species include the Black-breasted Parrotbill and the Rufous-vented Prinia. Two of the largest snakes in the world, the Reticulated Python and Rock Python, as well as the longest venomous snake in the world, the King Cobra, inhabit the park. Other snakes found here include the Indian Cobra, Monocled Cobra, Russell’s Viper, and the Common Krait. Monitor lizard species found in the park include the Bengal monitor and the Water Monitor. Other reptiles include fifteen species of turtle, such as the endemic Assam Roofed Turtle and one species of tortoise, the Brown Tortoise. 42 species of fish are found in the area, including the Tetraodon. Four main types of vegetation exist in the park. These are alluvial inundated grasslands, alluvial savanna woodlands, tropical moist mixed deciduous forests, and tropical semi-evergreen forests. Based on Landsat data for 1986, percent coverage by vegetation is: tall grasses 41%, short grasses 11%, open jungle 29%, swamps 4%, rivers and water bodies 8%, and sand 6%. There is a difference in altitude between the eastern and western areas of the park, with the western side being at a lower altitude. The western reaches of the park are dominated by grasslands. Tall elephant grass is found on higher ground, while short grasses cover the lower grounds surrounding the beels or flood-created ponds. Annual flooding, grazing by herbivores, and controlled burning maintain and fertilize the grasslands and reeds. Common tall grasses are sugarcanes, spear grass, elephant grass, and the common reed. Numerous forbs are present along with the grasses. Amidst the grasses, providing cover and shade are scattered trees—dominant species including kumbhi, Indian gooseberry, the cotton tree (in savanna woodlands), and elephant apple (in inundated grasslands). Thick evergreen forests, near the Kanchanjhuri, Panbari, and Tamulipathar blocks, contain trees such as Aphanamixis polystachya, Talauma hodgsonii, Dillenia indica, Garcinia tinctoria, Ficus rumphii, Cinnamomum bejolghota, and species of Syzygium. Tropical semi-evergreen forests are present near Baguri, Bimali, and Haldibari. Common trees and shrubs are Albizia procera, Duabanga grandiflora, Lagerstroemia speciosa, Crateva unilocularis, Sterculia urens, Grewia serrulata, Mallotus philippensis, Bridelia retusa, Aphania rubra, Leea indica, and Leea umbraculifera. There are many different aquatic floras in the lakes and ponds, and along the river shores. The invasive water hyacinth is very common, often choking the water bodies, but it is cleared during destructive floods. 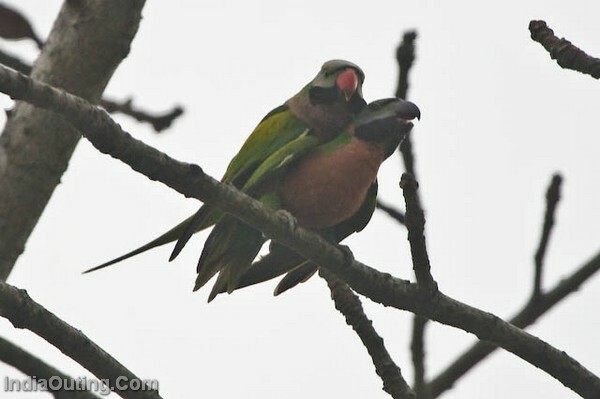 Another invasive species, Mimosa invisa, which is toxic to herbivores, was cleared by Kaziranga staff with help from the Wildlife Trust of India in 2005.
u r very beautifull than those two parrots. The scenic beauty is elevating the spirits and silencing all outward thoughts. hi sneha. great pictures… thanks a lot for taking me to kazirganga national park. now i m dying to visit there personally……………….. thanks and plz keep sending this type of pics. first , thanx for all marvellous picturs and news which you have sent me since last 3 month. Its definately a wonderfulllllllllllllllllllllllllllllll place to visit. What a fantastic place it is…………….. We can know it by seeing through this photos only. 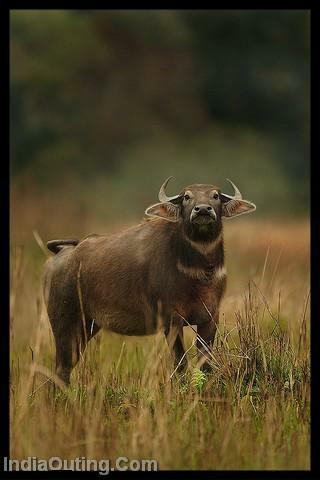 Being an ASSAMESE i should be gratefull to you for showing KAZIRANGA to all the people. Well.But Bangladesh is the most charming country. Very Nice PICTURES SNEHA I LOVE INDIA SNEHA . Thanks So much Sneha to made me realise that we have such beautiful places in INDIA. incredible..jus fabulous…i m speechless…i wanna go der now…. I really loved the photos. All your pics are extraordinary. 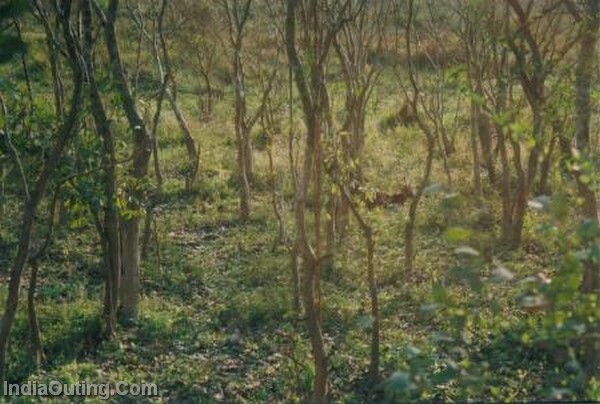 Where are the tigers, lions and the other animals? Sadly, most dissappointing. We suffered the convoy syndrome. One vehicle tightly behind the previous suffering just dust and fumes and no sightings. Only the first were lucky to see anything. The same was suffered when on a convoy of 14 elephants. And then to be charged for cameras was a pure insult. This is not the way of advertising a World Heritage site. Where is the money being spent? Certainly not on training, enthusiasm of staff, their interest in flora and fauna and the redution of evasive plants. Hi can u guide a bit more from travel time & way from mumbai as well accomodation arrangement & booking ways over there plz? Good picture story rather than informative. hotels and govt.tourism details with booking informations. I love to see wildlife. Too bad your pics weren’t larger. I still liked them. i have been receiving your mails with beautiful photograph our lovely nature for a long time……. hi! 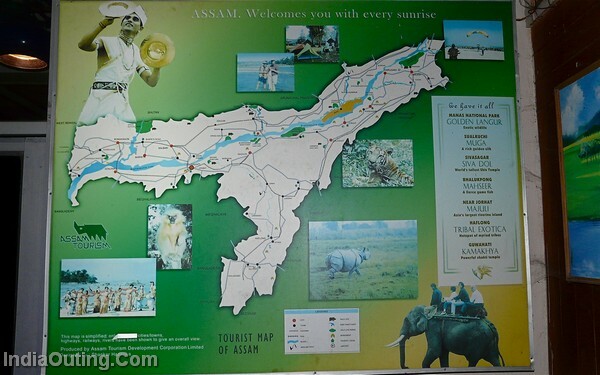 as i m belong to assam…i can say it is realy a very nice place to visit!! very Nice phots……… Thanks for sharing ……………. Really very nice sneha.. …..I jus wann to say “THANK YOU”…. thanks for sending such a good mails…………..i really like your mails,it just touches the heart.thanks. very very good pictures.i like this. But Where are the tigers, lions and the other animals? can u guide a bit more from travel time & way from Pune as well accomodation arrangement & booking ways over there plz. 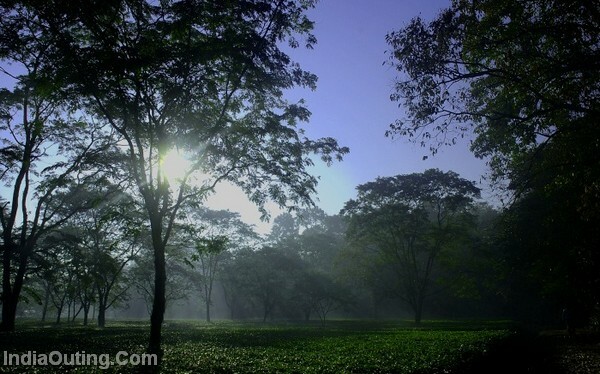 i love my motherland ASSAM……and her beauti…. Thanks Sneha, excellent pictures and informations. All your selections are always good. My greetings and best wishes to you. Fantastic collection of facts and photos. Yes…that’s my home.the paradise on earth, unfortunately much maligned and devastated by the brokers of democracy. God Bless my homeland…”My Xonar Asom”. Very beautiful birds, wild animals & the nature, thanks the Vicra sub-continent wifes, who pointout the place for resurve forest and pirsurvation of wildlife, this new discovery for new genration. Really nice picture with good information. I want to know more like these. I’d love to visit this place! All mails sent by you are si,ply marvelous. Keep it up. if there is any eighth wonder in the world it is the above ones.it is vvvvvvvveeeeeeeeeeeeerrrrrrrrryyyyyyy beautifulllllllllllllllllllllllllllllllllllllllll………………………………….. These pictures are wonderful with this amazing information. It is very useful to make us familiar with this great heritage of Wild and Forest Life……….. Thanks to this team and Gud Luck for such creative activities……………. May GOD bless You all…………. Super not words to say about ………….. Very educative and entertaining pictures indeed, Sneha! The photographs are very educative to the mind and pleasing to the eyes indeed! I’m amazed about the beauty of your country!!! I also wish you could visit mine (Mexico) in a near future, to see very different but also great places, greetings from Mexico!! I like things of value! I like what you wrote! Your article will not only give me learn a lot! Also inspired me to thinking! Thank you! These photographs are indeed excellent and amazing to say thes least of it. These photographs are indeed amazing. I cannot find any pictures of Tigers, leopards etc. Very beautiful place.Thanks for sharing such valuable scene. Have seen….Have a look….Real peace……..
wonderful and when we see personnely (visit there) it should very good and amazing….. Thank You for this type of material/ article it looks an educative sense of nature. its really the best place i have seen ever. Beutiful all these images you keep mail me this type of things. It is wonderful and really great places to visit. Sunil. Wow.. I can say a single wprd for all this pictures beautiful. Its really a great place to visit. With pleasant climate. I have personally visited the park. Its really adventurous. WOW! 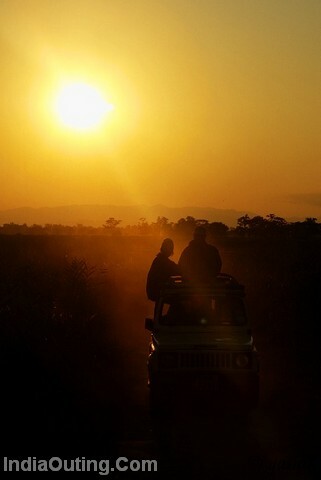 I wanted to be right there with the elephants, it is wonderful, Thank you so much, MORE and MORE, please. 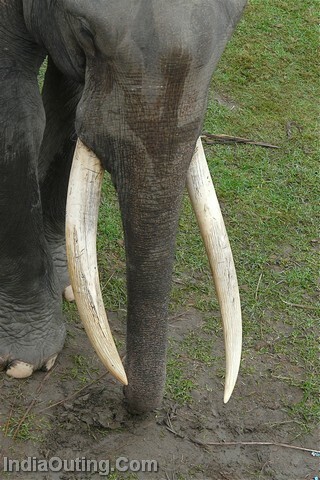 It is rare to see a Tusker with Tusk these days. We have protect forest and animals if we need water for our future generation. or else world will be a concrete Jungle. It is very good place to sixit. Thank u priya malhotra for providing with the photos . Wonnnnnnnnnnnnnnnnderful, I would love to visit such a beautiful place with my family. So nice place to see. It is Superb. that is very nice information. Its wonderful to see the pictures and rich heritage of our country. wow wonderfull site we shortly reached there. come and enjoy the gre8 beauty, the land of sun rising ..
U r So nice. Forest is amazing. 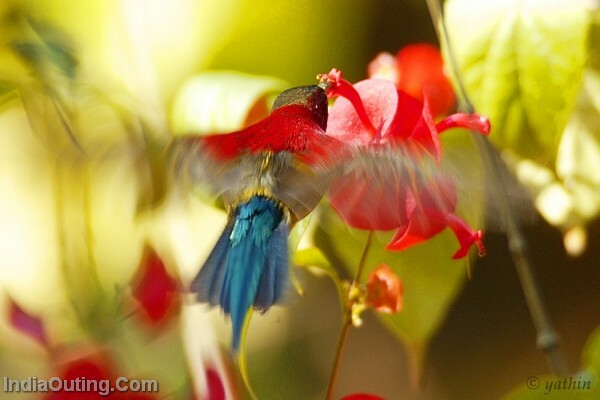 Such a beautiful tour of unseen nature. thanks for making us near to nature. thank god it is in india. how beautiful this place is nice. very beautiful snaps!Longing to visit the place or rather heaven on earth!Fantastic. well thankyou for this article .It is really marvellous with fine description.It implies a mesage that we in future should strive to protect these species from extinction. mind blowing.. adds up to the pride of my country..
thanks a lot.. keep going.. Cute pictures…………….very very very nice ………………. hi frnz i have recently visited kajiranga….realy realy nice ….one hornd rihno is realy nice. Very very cool nature and wildlife,encourging to save the natural beauti…………………… for whole LIFE. Excellant Collection & Nature, We Have To Thank God For Creating Such A Beautiful Nature, Fauna&Flora.. I am awestruck by this amazingly ‘graphic’ presentation. Album “Thank You & God Bless You! Thanks for sharing very beautiful images. I love natural beauty Thanks. Very excellent and knowledgeble information. Thanks & May God bless you. Such information about this park is very useful to all tourists and residents of India.After watching these pictures we would like to visit such beautiful places of the State of Assam in India. THANKS A LOT FOR NICE INFORMATION AND NICE PICTURES. My God..Howmuch I would like to appreciate U and your marvellous works’..
My thanx to the contributer of this natural beauty. Assam is beautiful. 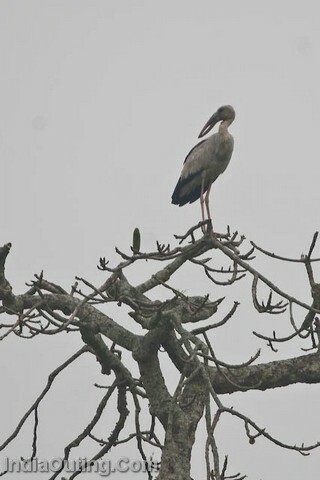 i never knew it offers such a great wild life and fauna and flora. the birds, the bees, the elephants and ofcourse flowers. oh my god. why should we go out of india when we have so much natural beauty. very nice. U show the amazing thing ,thanks for sharing with us. very nice and beautiful pictures thanks for your nice work………..and sending mails like this thanks a lot………..
Beautiful Pic.God has Created By His Own Hand. Recurring flood every year is taking a tool on the infrastructure of the park… very difficult to maintain. lot of visitors misses the sighting of the wilds as the park is only partially open to visitors during early in the season. Dear Sneha ji,,,,,,Super their is no words to say about, pictures are wonderful with this amazing information, i have been receiving your mails with beautiful photograph of our lovely nature for a long time……,today could not stop my self to thank you for all the mails which u have sent sofar, best wishes to u friend. it is wonderful i like it.thanks body…………..
very nice thank you i want to know more messages like this. that is superb and very close to nature.It can made any one to respect the nature. thank you so much for such images. Hi! It is really awesome place! The Animals and birds, they are really loving! I want to visit this place soon!